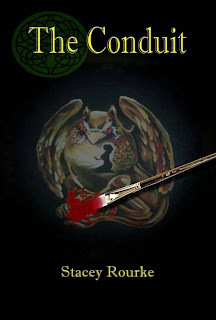 Stacey Rourke is the author of the humorous, action-packed Gryphon Series. The series begins with The Conduit, available now, and continues with Embrace this summer. She lives in Michigan with her husband, two beautiful daughters, and two giant, drooly dogs. Currently she is hard at work with next Gryphon Series novel as well as other literary projects. This is a fun read which you can complete in one or two sittings. You will really enjoy the book as the author sometimes uses the language in the humorous way unlike many other fantasy book stereotypes. BUY IT: You can buy this book on Amazon for $10.79 (Paperback) and for $3.99 (Kindle). Yes! How do we get it?